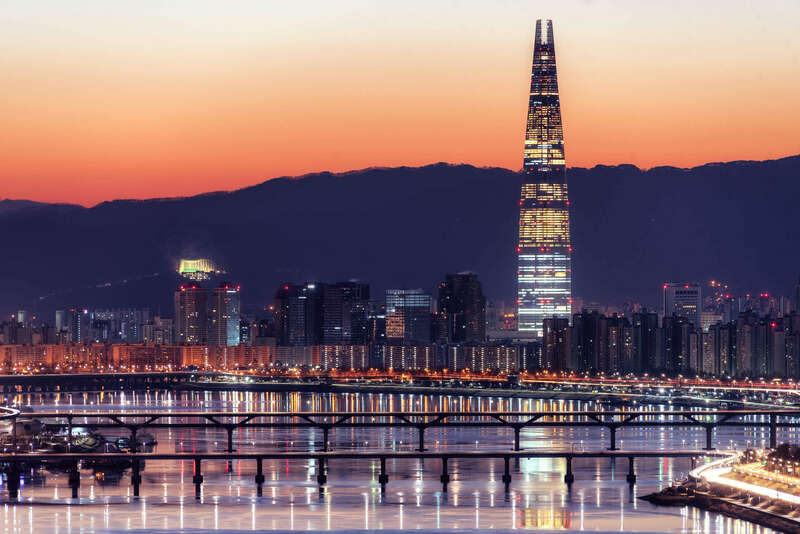 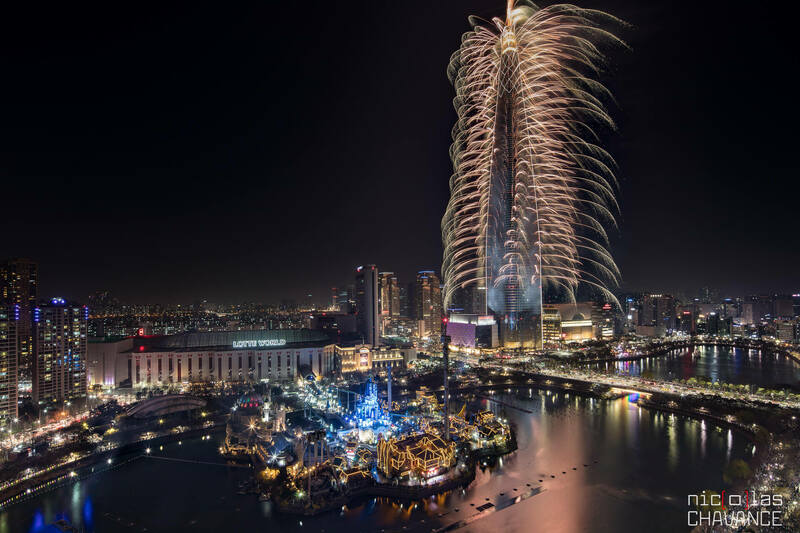 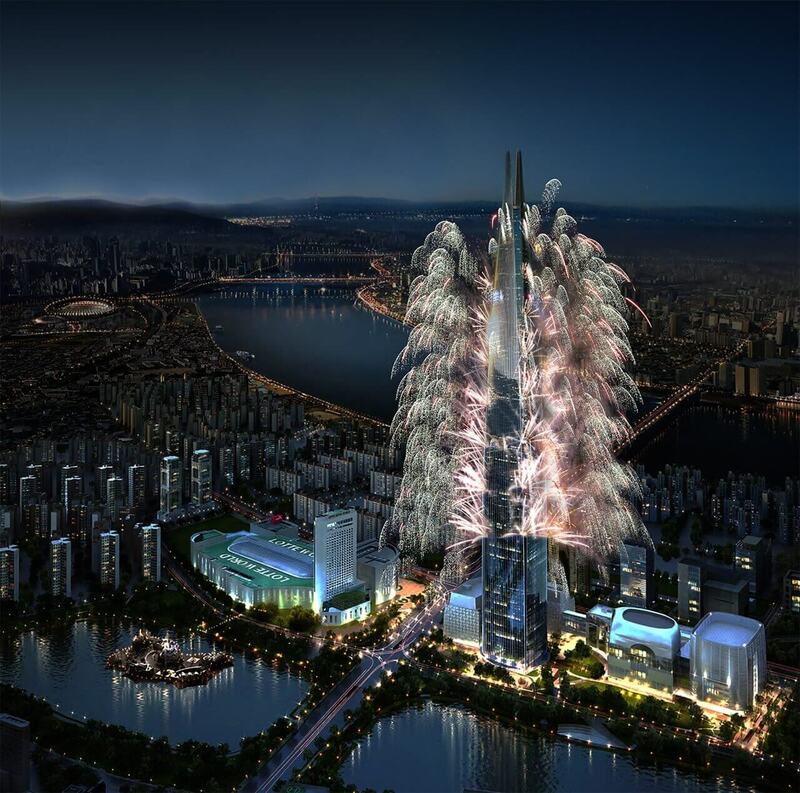 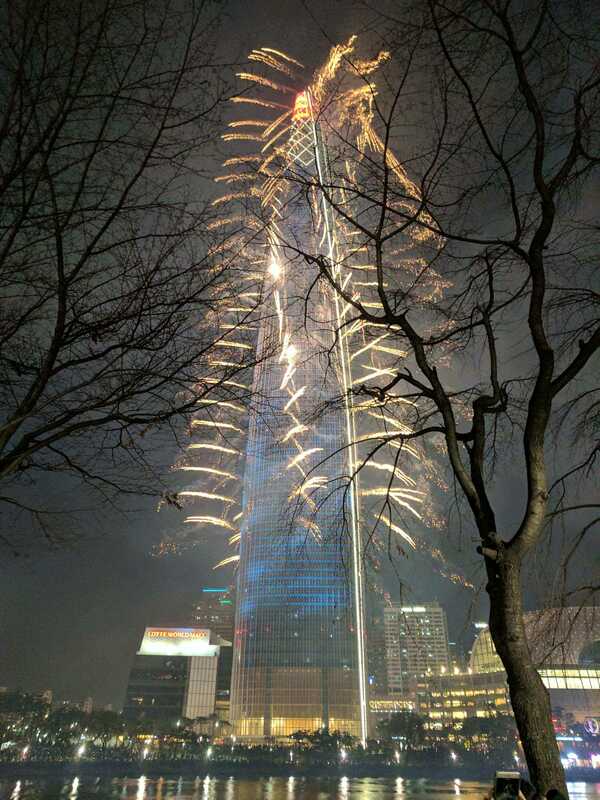 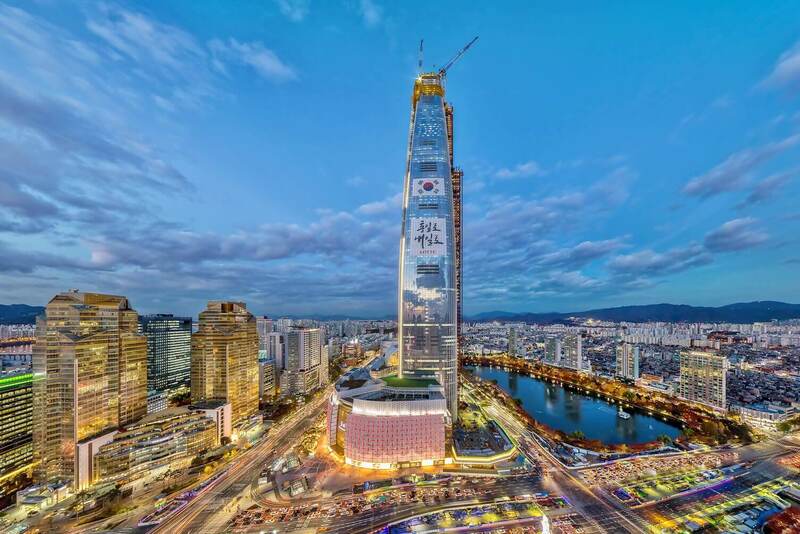 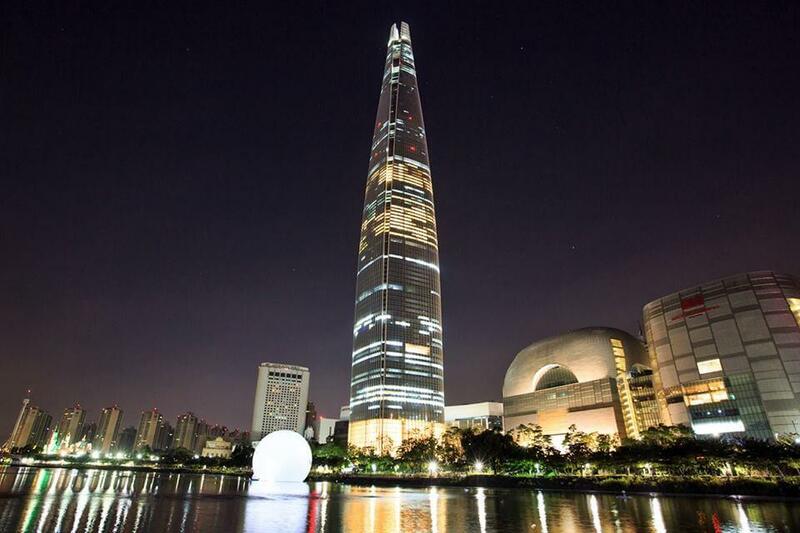 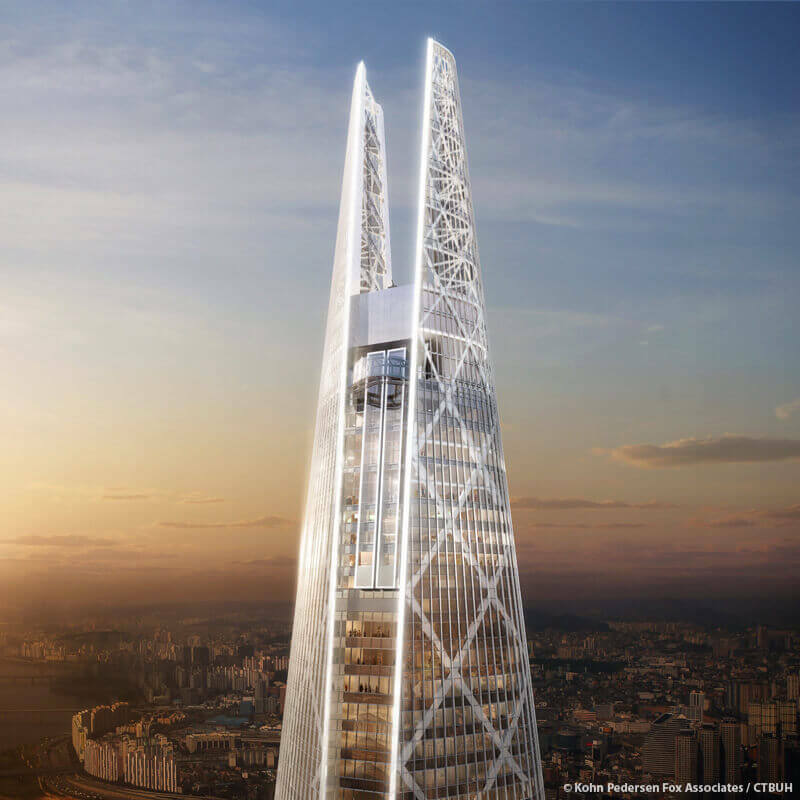 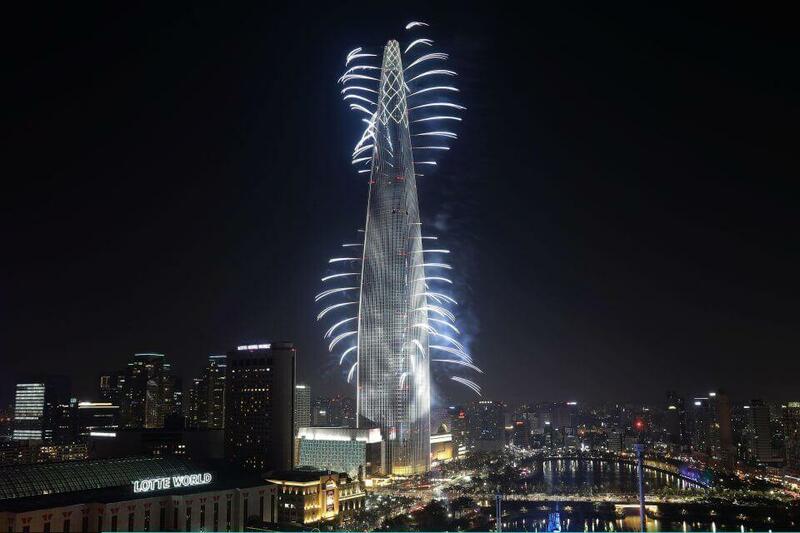 It is great to announce that The Lotte World Tower in Seoul, South Korea is now officially complete. 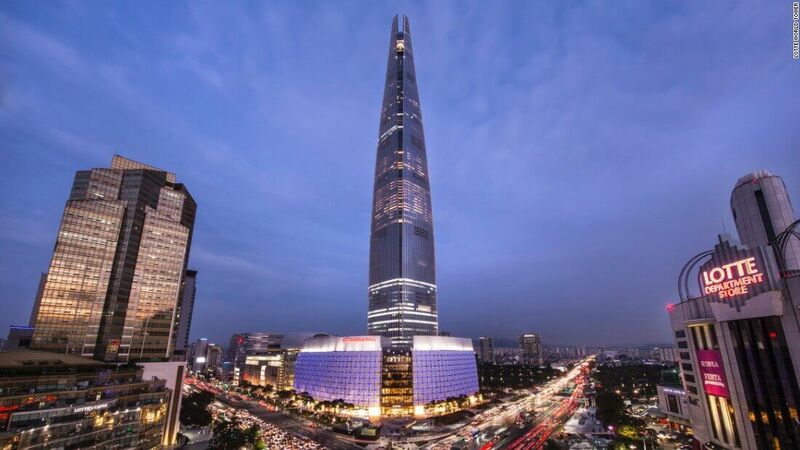 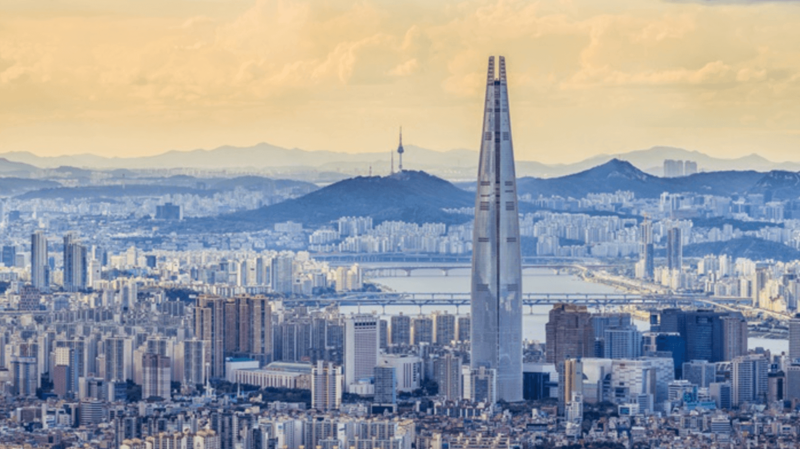 The Lotte World Tower Seoul is 555 m tall and is the tallest building in Korea. 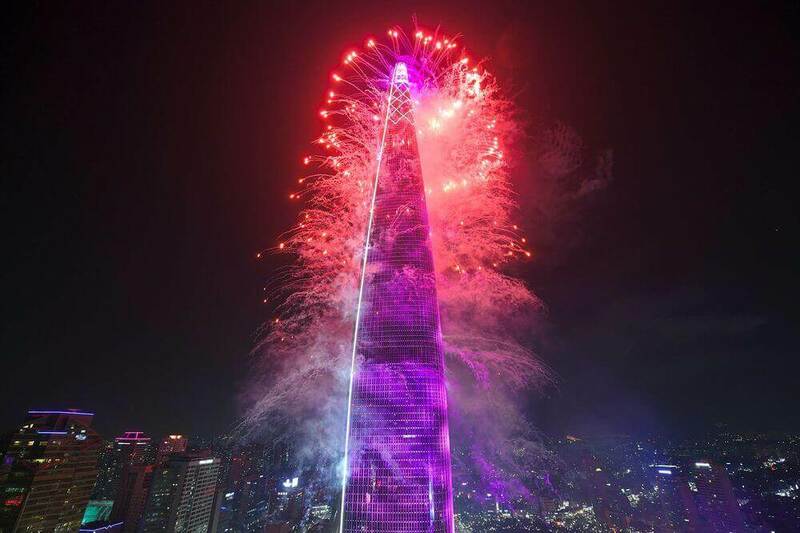 The tower falls at the fifth place in The list of biggest skyscraper buildings in the world. 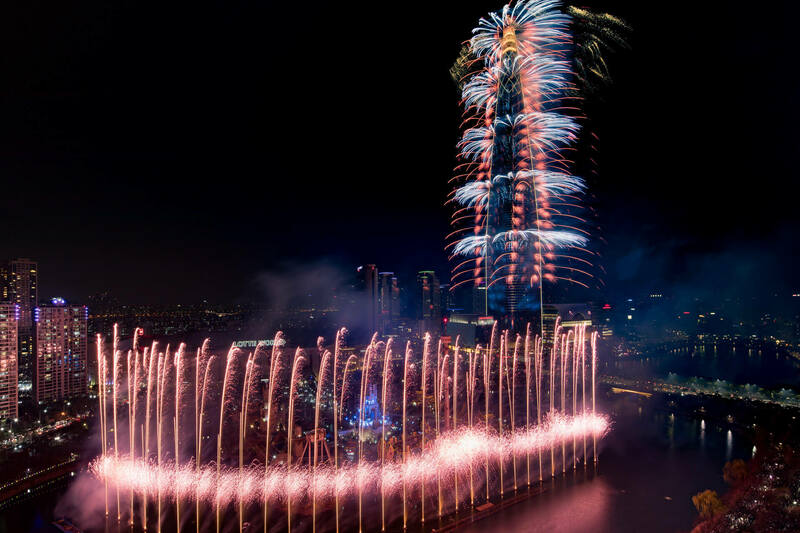 The Lotte World Korea is 123 storey tower with a traditional Korean design and calligraphy. 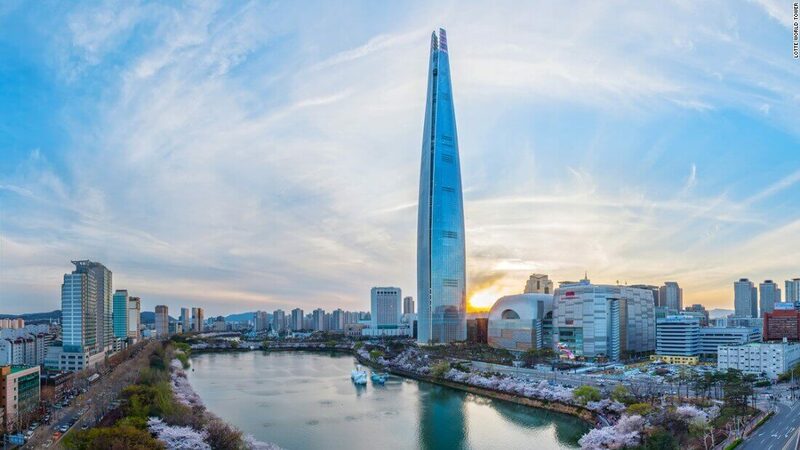 The tower contains a huge range of program types that includes retail shops, office floors, A luxury hotel, and an Officetel. 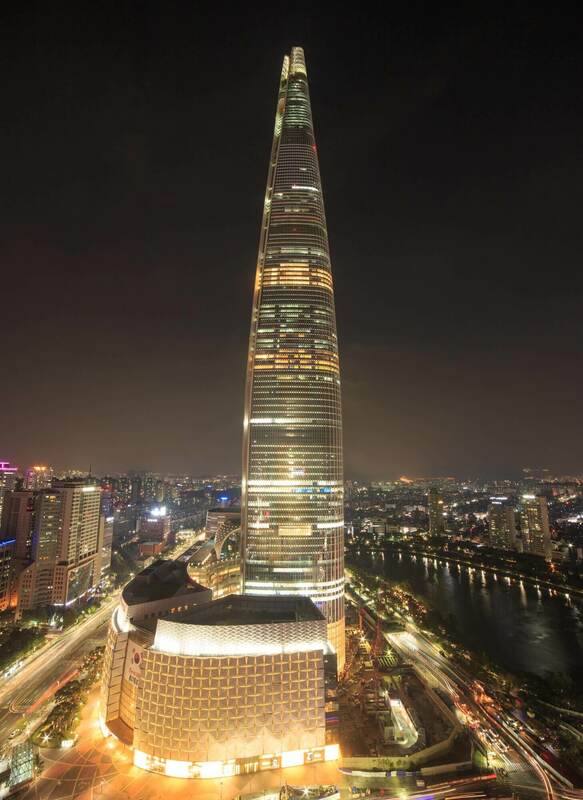 The Tower stands 5th in the list of Tallest towers in the World. 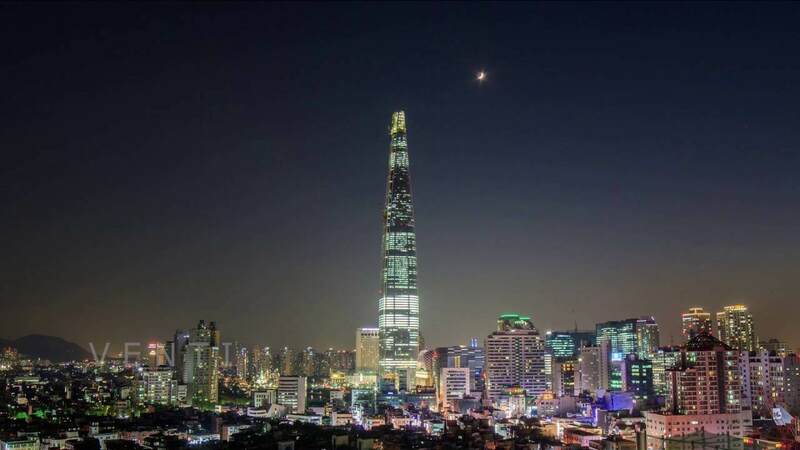 Here, in this article, you will find the images of the tower in every possible ways. 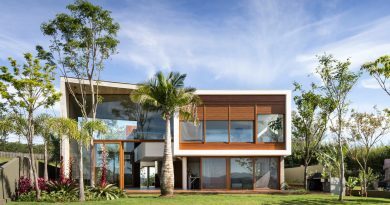 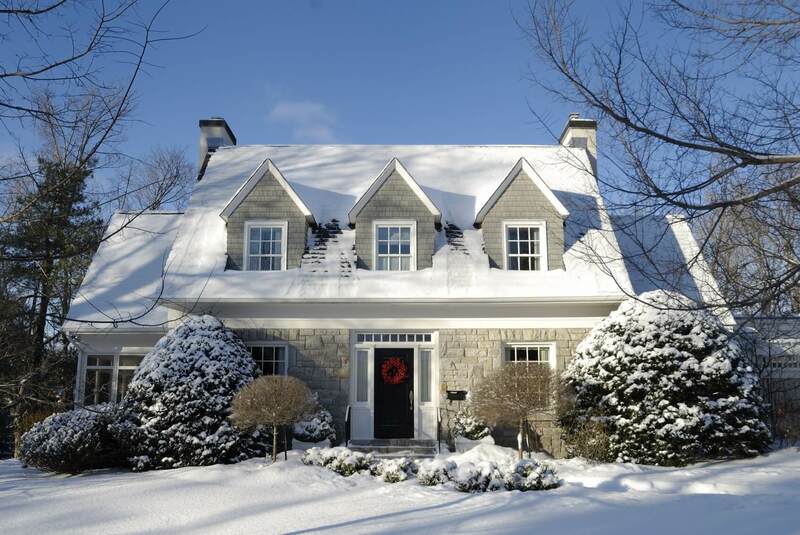 Read on the article today!